Many times this offseason, there has been speculation the Miami Dolphins would tank this season. The idea behind tanking, of course, is to get the first overall pick and take a quarterback. Perhaps Alabama’s Tua Tagovailoa. Heck, maybe tank twice, trade down in 2020 and draft Clemson’s Trevor Lawrence in 2021. No team needs a quarterback worse than Miami. Of course, the Dolphins have not said they’re tanking. And new Dolphins coach Brian Flores said there’s no way that’s on the agenda. 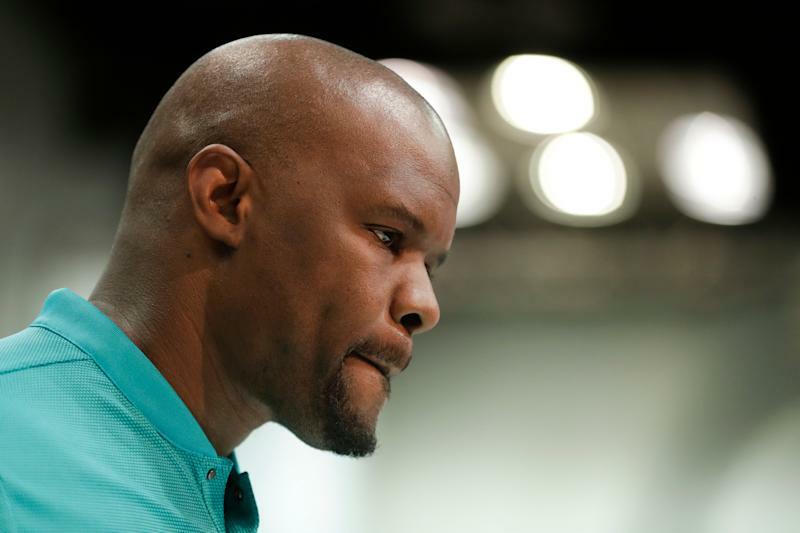 Flores, at the owners meetings Tuesday, said the Dolphins aren’t tanking in 2019. To be fair, tanking teams generally don’t announce they’re tanking. Those teams would, hypothetically, do something like make lukewarm offers to quarterbacks like Tyrod Taylor and Teddy Bridgewater, offers that are so underwhelming those quarterbacks take backup deals elsewhere. Miami landed Ryan Fitzpatrick to be their quarterback, which isn’t the worst possible option. But it’s not an option that will win many games. Miami’s roster isn’t great. They have no quarterback of the future. They won’t be contending this season. So if they are in the unspoken act of tanking, it might not be the worst idea. Would an NFL team tank for a full season? It’s hard to find a team through NFL history that looked to be intentionally tanking over a full season. The Buccaneers pretty obviously tanked the second half of Week 17 in 2014 to secure the top pick that became Jameis Winston, but hardly anyone noticed. The closest case we have to a team completely tearing it down, like the Philadelphia 76ers and multiple baseball teams in recent years, is the Cleveland Browns. And now the Browns are a playoff contender in 2019. There are philosophical and moral arguments against tanking. And the NFL isn’t wired for tanking; as Flores said, nobody in the league thinks that way. That’s why teams that would benefit by losing late in the season win meaningless games that only screw up their draft position. The NFL is a short-term career for most players and there’s no job security for coaches. They don’t care about draft positions. The Dolphins won’t be good this season. But they could be an interesting test case, if they decide that sacrificing 2019 is worth getting a difference-making quarterback. Even though Flores says that won’t happen.